With its Massachusetts election coverage and distinguished on-the-ground reporting in Haiti, the network has once again become the news leader. 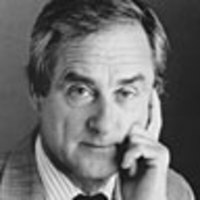 Sir Harold Evans on why straight reporting does, after all, beat spin. The big win of the week isn’t just Scott Brown ousting Martha Coakley in Massachusetts, despite the appeal of two Democratic presidents. Score a double triumph for CNN. On the election and on Haiti, I’d say CNN has come into its own, once again justifying its slogan “The Worldwide Leader in News” and founder Ted Turner’s faith in his innovation. I come from the antideluvian branch of journalism (print), but I'd still argue that even in the whizz-bang age of electronic journalism straight reporting beats spin every time. The cable news channels were so busy canceling each other out with talking heads putting either left or right slants on what might happen in the Massachusetts Senate race, they let CNN steal a march with precinct-by-precinct reporting of the actual results. That’s what we were waiting for. Covering news live as it unfolds transformed television journalism, and Haiti has shown that CNN still leads, not simply by dispatching teams but by giving them airtime. The networks, of course, were nowhere. They stayed with their prime-time specials. I guess NBC judged that it might set pulses racing more by parading the obese in The Biggest Loser (a useful slogan for the channel as a whole?). • Cyril Wecht: Haiti’s Grisly Problem • Who’s Giving the Most to Haiti? • The Daily Beast’s full Haiti coverage The real drama night after night has been in joining with the CNN crews and the admirable search and medical teams in the nightmare rubble of Haiti and in the pestilential streets among the broken bodies. Whose heart could not miss a beat as we wait tensely with Anderson Cooper and his CNN cameraman in Haiti as the search dogs go into the ruins and the microphones are snaked through the cracks for any sound of human life? On Tuesday, we saw a 70-year-old woman pulled out alive after seven days buried—and when she was, Cooper didn’t hype it. We got another glimpse of the magnitude of the disaster when he told us that she was retrieved but not yet rescued, for there was no field hospital close for the surgery and rehydration to save her life. Who could not start getting mad as CNN senior medical correspondent Elizabeth Cohen tracks a tent full of infected children bound to die without treatment and discovers from the Harvard doctors there that the only field hospital that can save any of them is one set up by the Israelis, who came from the other side of the world? And who could forbear to salute CNN’s chief medical correspondent, Sanjay Gupta, who turned down a chance to be U.S. surgeon general to stay in journalism? When a Belgian medical team of a score or more, fearing for their own security, fled their tented field hospital, abandoning the patients, there was Dr. Gupta on the scene to treat an injured child. And there was Dr. Gupta practicing his profession as a neurosurgeon aboard the USS Vinson, safely extracting a lump of concrete from a broken skull. Other major domestic news networks have doctor-reporters in Haiti. There’s NBC’s Nancy Snyderman, another surgeon who has been treating and reporting; Jennifer Ashton at CBS, who helped with an amputation of a young woman’s arm; and ABC’s Richard Besser, who helped in the safe delivery of a premature baby. But it was CNN and Sanjay Gupta that set the pace—just as CNN did in 1991, when Peter Arnett stayed in Baghdad, after all the other correspondents had gone, and broke the news to the world that bombs were falling and the Gulf War had started. Covering news live as it unfolds transformed television journalism, and Haiti has shown that CNN still leads, not simply by dispatching teams but by giving them airtime. It is a fair point. We may be ill-served if journalists become part of the story in the sense of taking sides or grandstanding. Truth to tell, I had an uneasy feeling when I watched Anderson Cooper run up a street and bring out a young boy with blood streaming from his head. It looked like a stunt, but it wasn’t. The boy had been hit on the head by looters hurling blocks into the street, and amid the chaos and the misery nobody was giving a damn about the boy. Cooper’s impulse was that of a human being first, evidence of an empathy that seems to me to be the impulse informing CNN’s distinguished coverage. Harold Evans, author of two histories of America, just published his memoir, My Paper Chase . Editor at large of The Week, he was editor of The Sunday Times from 1967-81 and The Times from 1981-82, founding editor of Condé Nast Traveler, and president of Random House Trade Group from 1990-97.